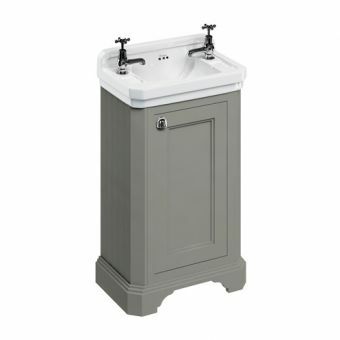 Burlington Corner Vanity Unit with One DoorFrom £428.35 inc.VATRRP: £659.00 (Save 35%)Corner 430 x 430mm with optional interior lighting, choose from 3 stylish colours: White, Olive or Sand. 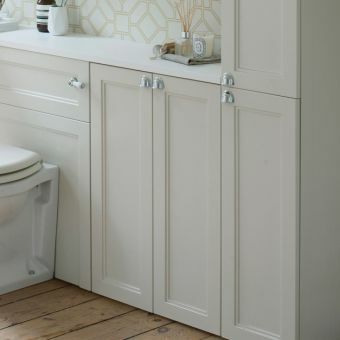 The quality of Burlington Furniture is immediately apparent. 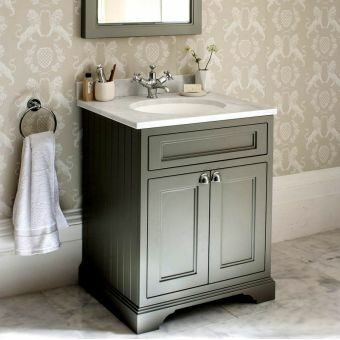 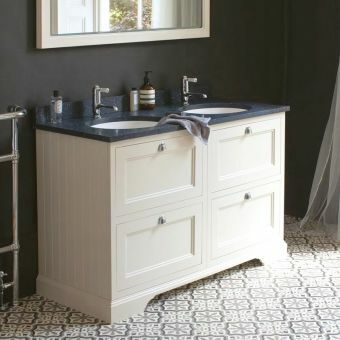 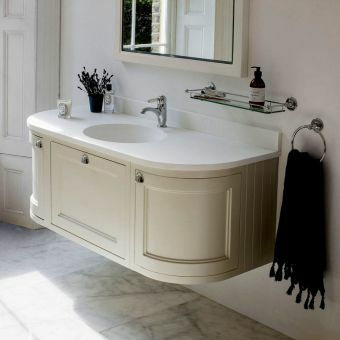 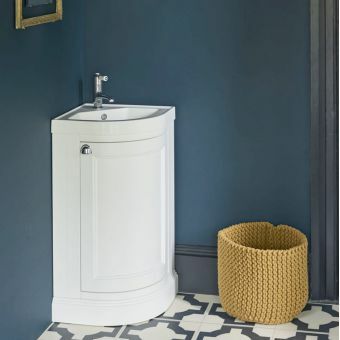 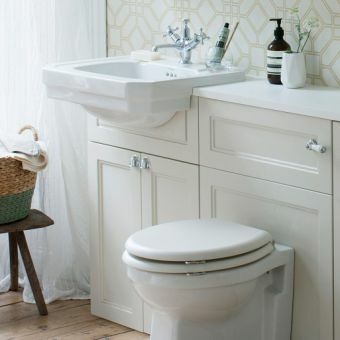 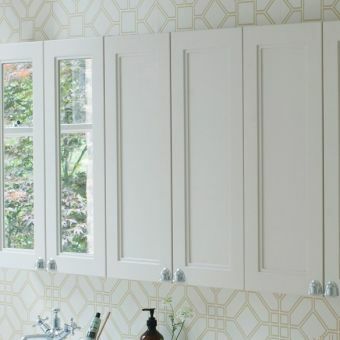 Gorgeously rendered in panelled wood, this collection of vanity units, storage cupboards and WC surrounds immediately elevates the tone of the bathroom space. 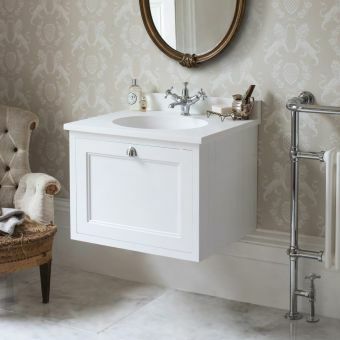 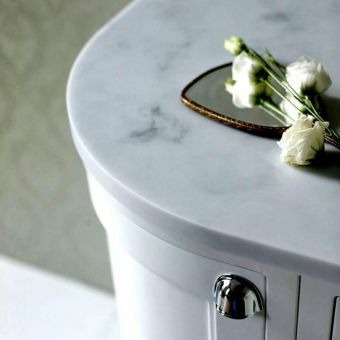 Built to the very highest of standards, the bathroom with Burlington furniture is a bathroom of style, luxury and sophistication. 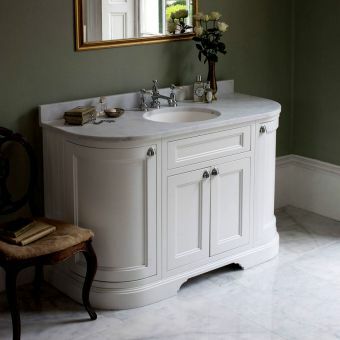 Curved wooden corners incorporate doors with a perfectly contoured finish, testament to the skill of the Burlington designers and craftsmen. 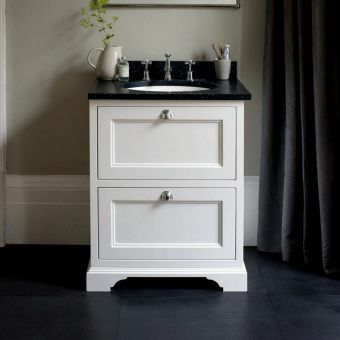 Tasteful door handles and soft action hinges and drawer runners ensure that Burlington Furniture remains smooth and luxurious throughout. 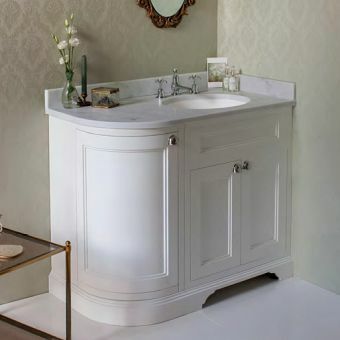 Finished in three colour schemes of Olive, Sand or White, these muted colours add a sense of calm to the interior with their naturalistic characters. 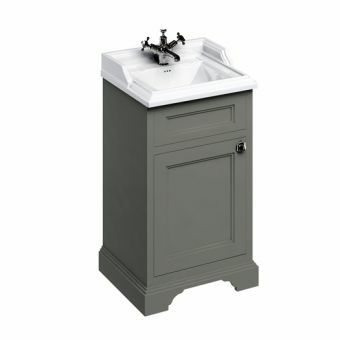 Vanity units incorporate inset basins for a delightful wash space, complete with a single tap hole for compatibility with a range of mixers. 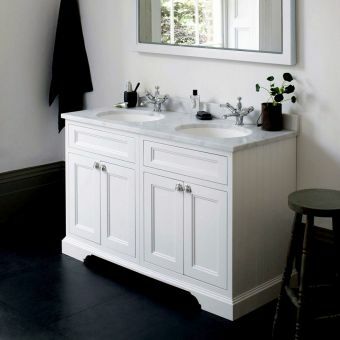 Surfaces are supplied are the Minerva Black, White or Carrara White options, resulting in a variety of pleasing colour combinations. 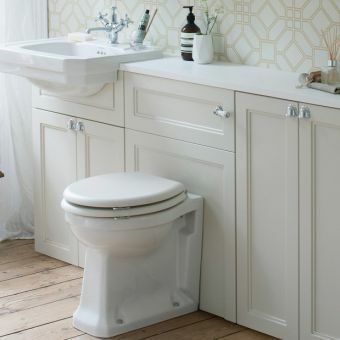 Taking a practical approach, these units are available in left and right hand version where appropriate, fitting in with existing room layouts.